Tree Maintenance & Removal in Oakland County | The Tree Corp.
For over 20 years, The Tree Corp. has provided professional tree trimming, removal, planting, stump grinding, and lot clearing services for the Highland, Milford, Brighton, White Lake, Commerce, and surrounding MI areas. Our clients know us for prompt services, attention to detail and dedication to staying on site from start to finish. Our crew approaches every job with a safety first attitude. No project is started without considering the safety of the crew, the safety of your home, and the safety of the properties around. We are proud of our zero-incident record! We provide FREE estimates, in writing, for every job. 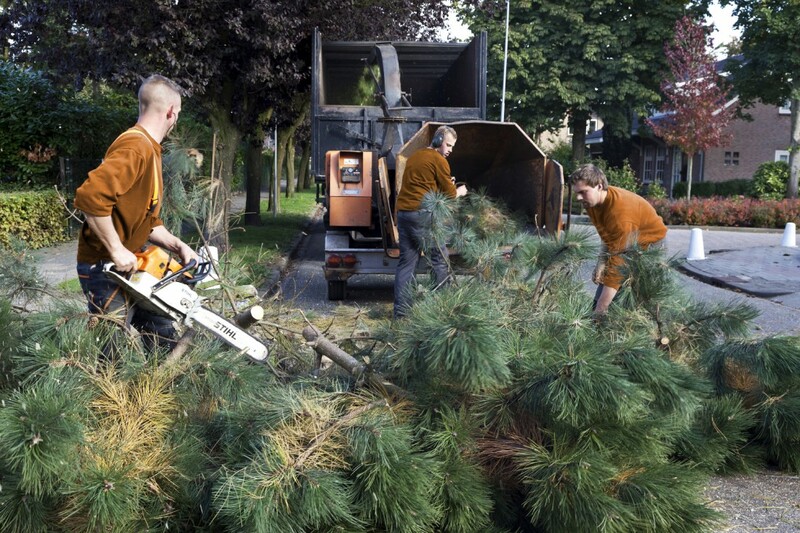 Whether you need tree or stump removal services, or trimming of tall trees, our crew has the skills, experience, and equipment to handle it all. As a full-service tree care company, we have the large trucks, cranes, grinders, and equipment to do the job and clean up afterward. We grind limbs and trees on site and take them back to the shop with us. You won’t be left with a yard full of debris. We can grind stumps and clear properties leaving behind a nice area to seed or plant on. We Are A FULLY INSURED Tree Service Company. We take great care and caution when it comes to protecting your property, and our employees. Not all tree trimmers protect you from incident. If the company you hire does not have the proper coverage, you could be held liable for injury or damage occurring during the service. The Tree Corp. has all the necessary coverage to protect employees and homeowners from an unexpected incident. If you’re looking for a locally owned and professional tree services company with upfront pricing and no hidden fees, contact The Tree Corp. today!